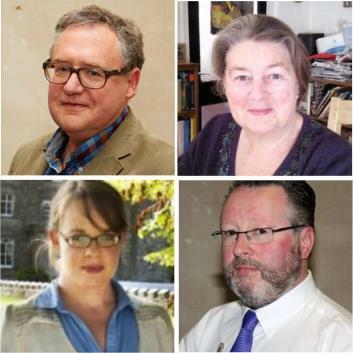 Four members of Accredited Genealogists Ireland (AGI) have recently been appointed to positions of influence. One has been appointed a member of the National Archives Advisory Council; another elected a vice-president of the Irish Genealogical Research Society; and two appointed members of the Irish Manuscripts Commission. John Grenham is one of the 12 members of the National Archives Advisory Council (NAAC), recently appointed by Minister for Culture, Heritage and the Gaeltacht, Heather Humphreys TD. The NAAC is a statutory body with remit to advise the Director of the National Archives of Ireland on policy and practical matters. John is a longstanding member of AGI and is known internationally as the author of Tracing Your Irish Ancestors, now in its fourth edition. Paul Gorry has been elected a vice-president of the Irish Genealogical Research Society (IGRS). Founded in 1936, the IGRS is a learned society and the world’s oldest organisation dedicated to the study and pursuit of Irish genealogy. Paul is a past president of AGI, and with his AGI colleague Máire Mac Conghail is co-author of Tracing Irish Ancestors, published in 1997. Nicola Morris and Máire Mac Conghail have both been appointed to the board of the Irish Manuscripts Commission (IMC). The IMC was established in 1928 by the warrant of the Irish government. Its remit is the dissemination, preservation and promotion of original source materials for the history of Irish culture and heritage. Nicola works closely with the production company for the BBC TV programme Who Do You Think You Are?, appearing in a number of the shows, as well as being one of the onscreen genealogy experts on the TV series, the Genealogy Roadshow. Máire, current president of AGI, has served on the both the NAAC and IMC previously and was a member of the Board of the National Library of Ireland from 2005 to 2010. She has practised as a professional genealogist for over 40 years. "All four are most deserving of the recognition these appointments give them and their work," said AGI Vice-President Joan Sharkey. "Over many years, each has made a serious and committed contribution to the promotion of Irish genealogy and to the setting of high standards among professional genealogists in Ireland. Paul Gorry MAGI, and Nicola Morris MAGI.